Founded in 1923, Slomin’s has been dedicated to our customers for over 90 years. As a family-owned and operated company, we treat all customers like family, and we understand the importance of keeping families safe. The Slomin’s office in Norcross, GA, serves the greater Atlanta area including the following counties in Georgia: Gwinnett County, Fulton County, Dekalb County, Cobb County, Clayton County, and more. Slomin’s offers the latest in home security technology through our advanced Slomin’s Shield security system. Available for homes and businesses, the Slomin’s Shield system is completely wireless and offers comprehensive security solutions. Add motion detectors, door and window sensors, smoke detectors, carbon monoxide (CO) detectors, flood sensors, glass break detectors, and more! With the Slomin’s Shield system, you have someone guarding your home 24/7/365. Our central monitoring station is always there for you, on the alert for alarm signals. The Slomin’s Shield alarm system also offers extensive videos surveillance options. From standard cameras to pan-tilt-zoom cameras to outdoor, low light cameras, we have solutions for your video surveillance needs. 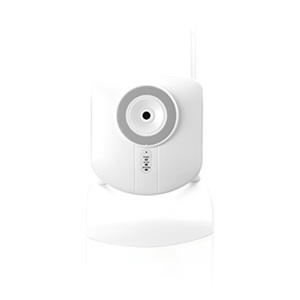 Not only can you remotely view and control cameras, but you can also have them automatically record clips when motion is detected. The state-of-the-art Slomin’s Shield system also supports the latest in smart home technology. With full ZWave support, our system allows you to remotely control your lights, thermostat, door locks, garage door, appliances, and more. The MySlomin’s app for iOS and Android works anywhere with an internet connection—from your bedroom to your office to even another country. The app allows you to control security and smart home systems as well as all your cameras. Call 1-800-ALARM-ME today to find out how you can own a Slomin’s Shield system for $1 a day. Join the hundreds of thousands of people who already trust Slomin’s with their home security and home automation needs.